All CITY BLOCK homes currently listed for sale in San Antonio as of 04/22/2019 are shown below. You can change the search criteria at any time by pressing the 'Change Search' button below. 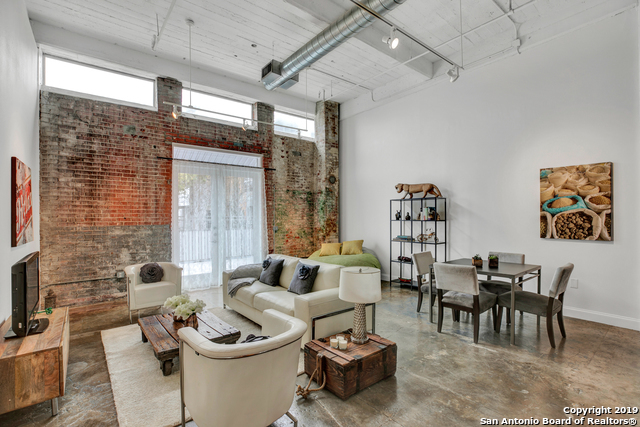 "Steel House Lofts located in Southtown in SA, with; pool, 24-hour gym, dog park, Johnny Hernandez restaurant, Fruiteria. Original brick wall, polished concrete floors, 14' ceilings, new cabinets, granite counter tops, stainless steel appliances w/ convection oven, new fridge, 24x13 outdoor patio with privacy fence, 2 covered secured parking spots, storage unit, in unit laundry. Walking distance to San Pedro Creek Culture Park, HEB SoFlo Market, Blue Star, restaurants, art galleries, river walk."